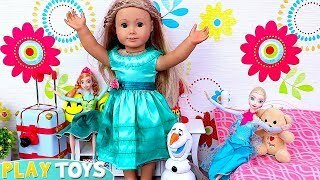 Baby Doll Dress up Toys Play Doll Clothes in Bedroom! 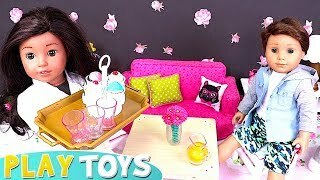 Baby Doll Play Food Toys in Pink Doll Bedroom Toys! 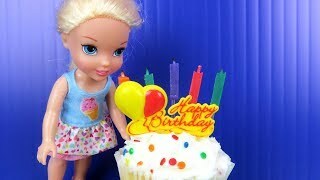 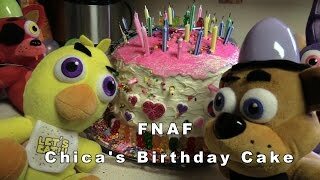 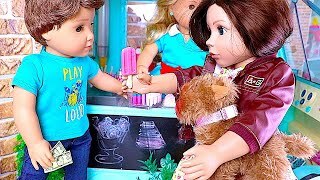 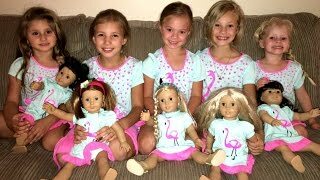 Play American Girl Doll Morning Routine &amp; Dog Puppy Birthday!